Oscar J. Thompson, Salley, South Carolina, Contributed by Dr. Walter B. Curry, Jr.
Ancestor’s Name : Oscar J. Thompson, Sr. If you would like to share a story about this ancestor, please type as little or as much as you like in this box. 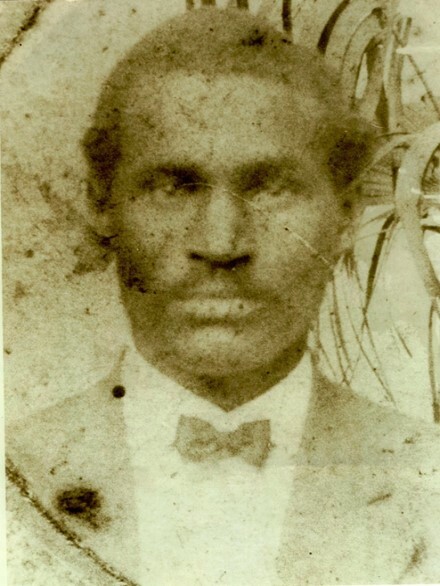 : Oscar J. Thompson, Sr., was one of five children born to the Rev. Logan L. and Lavinia Corley-Thompson on March 5, 1881 in the Skillet community outside of Salley, South Carolina. At a young age, he joined Smyrna Baptist Church where he was ordained as a deacon. Like his parents, Oscar was a sharecropper. Briefly, he lived with his brother Robert Thompson and his family until he was able to support himself. Later, he married Lessie Felder. Out their union, twelve children were born: Oscar Thompson, Jr., Austin Thompson, Warren Harding Thompson, Osban Thompson, Jerome Thompson, Eddie Lee Thompson, Nettie Thompson-Johnson, Lena Thompson-Lloyd, Mamie Thompson-Shuler, Carrie Thompson Morgan-Horne, and Dorothy Thompson Dumas-Parks, and an adopted son, Paul Goodwin. In addition, Oscar had two children, Alice Thompson-Seawright and Balem Thompson, Sr., from previous relationships. Oscar and his family continued to sharecrop for several years. While working, he saved his money with the goal of becoming a landowner. On December 9, 1915, Oscar purchased 92 acres from David Link of Deland, Florida; on October 4, 1916, Oscar purchased 96 acres from Bertie Rice, a relative of his brother-in-law, Jacob Rice, who married his half-sister Rosanna Thompson-Rice for $100; and on December 23, 1919, he purchased an additional 42 acres from Viana Corbett, Susie Johnson, and Reanna Martin for $1,300. Oscar was full-fledged entrepreneur. In agriculture, he cultivated his farm into a full-scale operation that garnered local acclaim. The local newspaper lauded his three-year crop rotation system. To further his knowledge in agriculture, Oscar joined a group of local African-American farmers on a field trip to Coker Pedigreed Farm in Hartsville, South Carolina “to study and observe seed breeding and other farm practices”. In real estate, he sold property to his relatives. On August 12, 1918, he sold 22 acres of land to his first cousin, James “Vet” Thompson wife, Keller Thompson for $200.00; and sold 42 acres to his wife parents, Henry and Eliza Felder for S775.00. Oscar died on August 11, 1945 at the age of 64.99 Four years later, his wife Lessie died on September 21, 1949 at the age of 56.